Life is a journey… We hear this all the time but I have never understood the deeper meaning until I met Hudson. Hudson a quiet, reserved 19 year old has been dealt with some tough health issues… he was diagnosed with CF. This has not deterred Hudson and his family to living life to the fullest and making amazing memories along the way. Mimi, his mom, told me some of the stories behind Hudson’s journey and how they have made a point to enjoy what life has to offer and documenting the fun experiences along the way. It was decided after a lengthy discussion to include Hudson’s passion for trains for the photo shoot. Fort Edmonton Park was the location of choice. The 1919 steam engine and train would be the background. During the photo shoot Hudson was beaming, in his element. 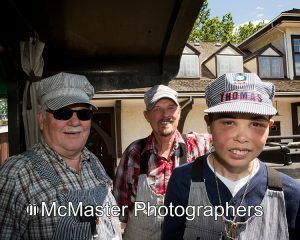 He got a tour of the actual engine and was shown how the train used real firewood to get moving. 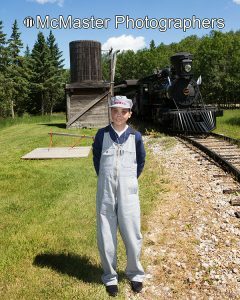 A big “thank you!” to the conductor and his assistant at Fort Edmonton Park for being so kind and taking a special interest in Hudson. 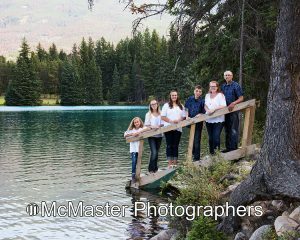 With the photo shoot going so well, I invited the family to Jasper Alberta for another photo shoot. It did not take Mimi long to say “yes”. This was Hudson’s first time in the mountains. By photographing Hudson, I have really understood how life is a journey. Whether we live many decades or just a few hours, we need to keep the memories going, we need to experience life. I have been so blessed to have met this family and to help create some more memories for them.